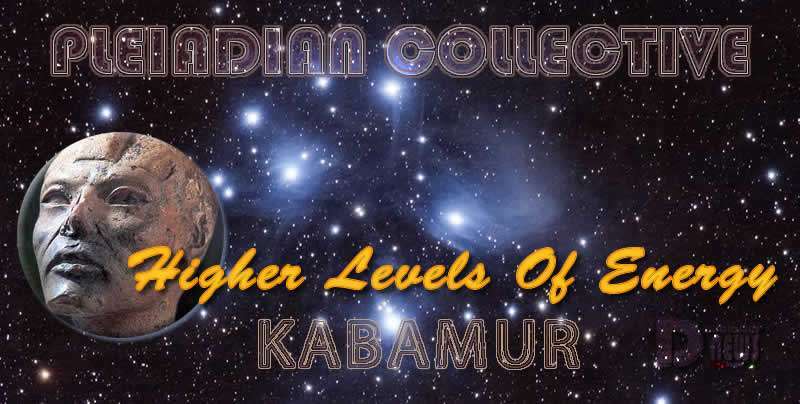 Higher Levels Of Energy – Akatu – Pleiadian Collective. By Kabamur Taygeta. The Higher Levels Of Energy Integration Are Ongoing. This Never Stops Or Pauses. The Perception A Human Has Is That There Is One Reality. In Truth, We Teach You That You Are Multidimensional Beings Living In All Densities Now! You Must Understand That This Sacred God Is In All And As All. Each Form That Higher Self Chooses To Incarnate Into For A Purpose Is Designed To Sustain The Level Of Vibrational Frequency Of Environmental Conditions. Each Food And Liquid Chosen To Sustain The Form Will Add To The Frequency In A Positive Or Negative Result. It Is Advised To Drink Pure Water And Raw Unprocessed Foods As These Will Assist In A Higher Vibrational Frequency. Many Illnesses To The Body Form Are In Direct Connection To Foods Needed To Sustain As Well As Toxic Food That Humans Eat For Pleasure. The Body’s Natural Inclination To Be Rid Of Cellular Waste And Release What Is Not Assimilated Can Result In Systemic Breakdown, If One Is Not Conscious of The Process. In Transitioning To The New Reality That Is Set Before You, Be Assured That Your Higher Self As The First Identity With Name And Form That You Lived As Your Sacred Being Is Aware Of You In This Moment! For This Is Your Last Dream Before Motion Is Set To Receive You Into The Arms Of Those You Have Long Forgotten But Have Never Forgotten You! This Dream Is Different And Special And Very Sacred. For This Is The One Where You Transcend All Limits Of Space-Time Teaching. We Are Ready For The Grand Celebration Of Life! But We Share Again, That You Exist In All Densities Now. The Chosen Perspective Of Name And Identity Will Fade Away As You Remember Who You Are! Full Conscious Awareness Will Return With The Full Memories Of All Dreams! We Will Sit Together With Music And Laughter And Share Dreams Of Millions Of Years! Great Care Is Being Taken At Levels Beyond Your Conscious Awareness To Ease You Into This Process So As Not To Disrupt Your Moment To Moment Dream! For You Will Complete This Planned Dream! Some Before Others! We Assist You Greatly And Never Leave You! Each Of You Is Unique And Carry A Set Of Variables Which Will Fit Energetically Into The Realm That Will Be The Focal Point Of The Cosmos! The Party Of All Time! All Sacred Beings Great And Small Will Join Together! Now Set Your Mind On Rising In Blue Light!